They say that if you want to become the best at something you have to do it 10,000 times. Maybe that is why so many people do not achieve their goals. In fact, research by the University of Scranton finds 92% of people that set New Year's goals never achieve them at all. To get where you want to go, perhaps it is time to leverage findings from researchers Edwin Locke and Gary Latham. They found people who simply set specific goals that were challenging, achieved higher performance about 90% of the time. Community banks for years have expressed a goal of having better risk management at the enterprise level, yet so many still have failed to do so. Perhaps this is because community banks are not under the same pressure or regulatory mandates as their larger counterparts to run an enterprise risk management (ERM) program. But, as with many things, just because you do not have to do it does not mean it is not a good idea to do it anyway. Indeed, industry experts say that done correctly, maintaining an ERM program will not only help community banks stay compliant and better manage potential risks on the horizon, but can also help improve the bottom line and meet long-term goals. While ERM has been popular at larger banks for the past 15Ys, it really has only been in the past few years that community banks have been getting onboard with this concept. Until recently, running an ERM program seemed overkill to most banks under $5B in assets, already reeling with the regulatory resource pressures following the credit crisis. However, as pressures to get more competitive keep increasing, community banks are finding themselves increasingly needing to weigh which risks may be worth taking in order to gain new rewards and which ones may not be. For some larger community banks, launching an ERM program means bringing in or appointing a chief risk officer or, at minimum, appointing a risk 'champion' from the C-suite. Their initial goal is to help coordinate efforts across lines of business at the bank to track, review and manage risk. ERM experts say the risk champion needs to be fairly highly placed at the bank in order to drive the initiative forward and corral business line leaders to affect change. Ultimately, any ERM program cannot be born out of or live entirely in the audit or compliance department alone, however. After all, risk management is a holistic concept where risk is managed by all. Experts underscore the idea that ERM must take a strategic and over-arching view of a bank's risk. As such, it's not always easy to achieve a smooth-running program, especially in light of the number of siloes and separate legacy systems. Executed correctly, however, an insightful use of ERM can give community bank management and boards a better handle on where new risks are developing and where there are potential opportunities. In doing this, an ERM program helps boost the credibility of management itself, underscoring the ability to see potential weaknesses and opportunities at the bank so action can quickly be taken. There are likely as many different types of products as there are ERM structures out there. Start by researching ERM, then move on to practicing what your bank would do and how it could use such a program. 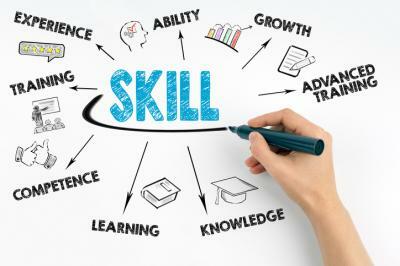 Set your goals as you then begin the process of enhancing your skills in ERM to the expert level. Yields slipped 1bp as durable goods data came in lower than forecasted. A TD Bank survey of small businesses with <$1mm in annual revenue finds 67% are based out of homes. PwC research finds it costs $4.00/transaction on average in a branch vs. $0.09 for online & $0.19 for mobile. An FTC study that looked at how hacked consumer data is used finds the total amount stolen using credit cards within 2 weeks is $12,826. Fed research finds 50% of mobile banking users have used their phone's camera to deposit a check. The Public Company Accounting Oversight Board (PCAOB) has approved a new auditor reporting standard that will require auditors to communicate any "critical audit matters" (challenging, subjective or include complex auditor judgment) arising from the financial statements. These matters will likely include discussions around such things as the ALLL, fair value measurements, derivatives, and purchase accounting to name a few. A Deloitte survey of corporate executives on risk finds the most urgent risks are: cyber (45%), reputation (44%), compliance (35%), strategic (24%), financial (19%) and operational (18%). Research by CTRL-Z of global IT and business decision-makers finds: 95% of enterprises have server backups in place and 80% have endpoint backups in place. That said, 5% of IT decision makers admit they haven't tested their server backup and 10% said they hadn't tested their endpoint backup. Fed research finds that as of Q1, the net loan to asset ratio was 64% nationwide.